The Other World - இன்னோர் உலகம்: Life Art: 8 changes in you, when you start writing diary notes regularly. Life Art: 8 changes in you, when you start writing diary notes regularly. 1. A relaxed state of mind when you finish writing your experiences into words. A worthy confession which you made it as very secret. 2. This habit will insist you to write with new choice of words and not the same usage of words. This will trigger your practice of building your vocabulary and the command in it. work daily. Days passing without significance can be evidenced. This will induce you to take an initiative of your passion which was left aside. 4. As a result of this furious habit, A skilled writer in you gets emerged. 5. 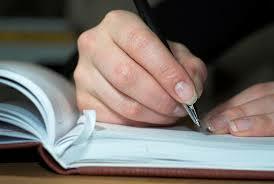 Collating all your diary notes will give a productive feedback about your time you are spending. Your mind will subconsciously avoids before taking up any repeated tasks. 6. Pictures or motion pictures are meant for reminding nostalgics about events and people but writing diary notes will remind you nostalgics about events, peoples and your thought process. 7. A wonderful harmony in the making of your thoughts-words which wins your followers and well wishers. 8. You create a priceless moment, when you share your diary notes with your friend and family during your later years. You will win heart of your loved and trusted ones, what else do you need? அனுபவங்கள் : தொடு அலைப்பேசி [smartphone] அவசியமா?